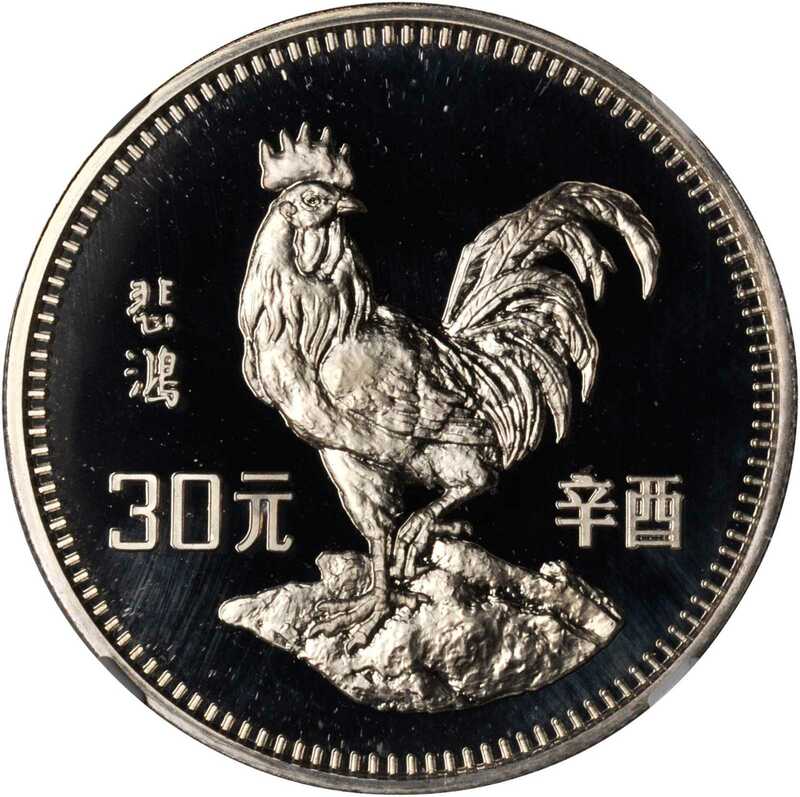 1981年30元。生肖系列。鷄年。镜面底板，霜面图文。KM-40. Hard mirrored fields and frosted cameo devices. A thin veneer of attractive golden tone. Slight haze on obverse.NGC PROOF-68 ULTRA CAMEO.